Holiday Inn Lincoln-Downtown: Everything You Could Need for a Stay in Lincoln! 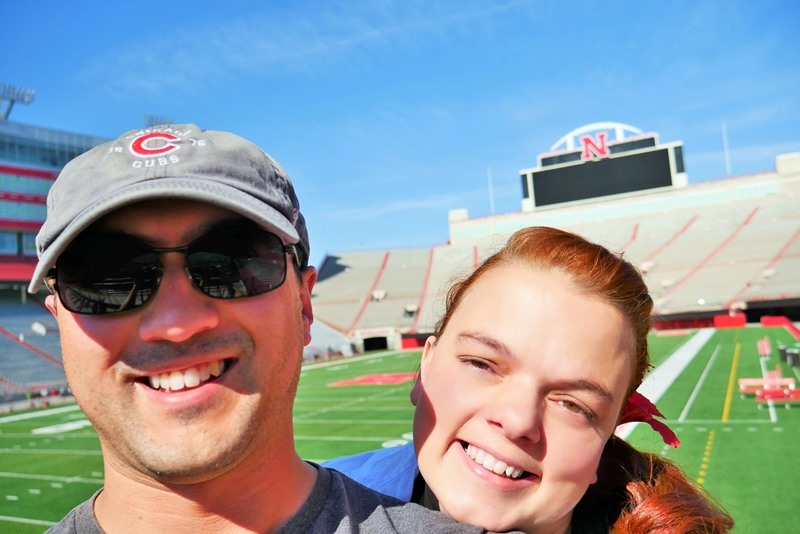 We recently headed to Lincoln Nebraska and I floored at how much I loved this fantastic little city! You never realize how many amazing cities there are until you start exploring a little further. You also never realize how many great hotels there are until you do a little exploring with that as well. While in Lincoln we decided to stay at The Holiday Inn Lincoln-Downtown. Not only was this a great hotel, but it was within walking distance of everything. 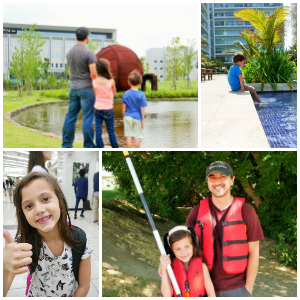 It was only a short walk to great restaurants, shops, and a movie theater. The Holiday Inn Lincoln-Downtown has clean comfortable wonderful rooms. I would highly recommend getting one of their amazing suites with a balcony overlooking the Haymarket District. All the rooms come with triple-sheeted bedding, free wireless Internet access, a large workspace, microwave and mini fridge. If you plan on being in Lincoln during football season you are just a short walk from Memorial Stadium. I know because once we parked at the hotel we decided to walk everywhere we wanted to go including the stadium. I knew before arriving the hotel staff was going to be great. I called the night before arriving just to double check on our reservation and the gentleman I spoke with was incredibly accommodating and friendly. When we did check in the front desk staff gave me a recommendation for dinner (which was great by the way!) and showed us on a map all the best spots in town. They were so friendly and I knew they would go above and beyond if needed. 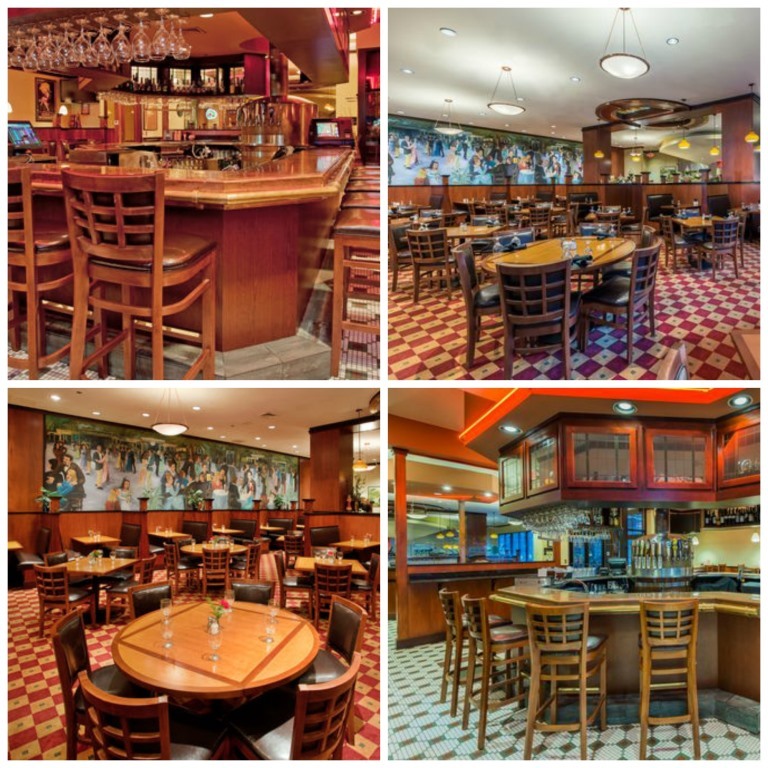 The Holiday Inn Lincoln-Downtown has a great restaurant, The Red Onion Bistro & Bar located inside if you don’t feel like venturing out. You can also head to The Red Onion Bistro & Bar in the morning for a great breakfast. We ate breakfast there twice and they have a great full breakfast buffet. You can grab an array of hot and cold breakfast food including my favorite, bacon! 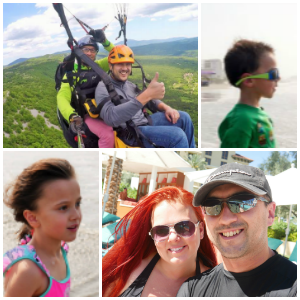 As a bonus if you are traveling with your kids they can eat for free! 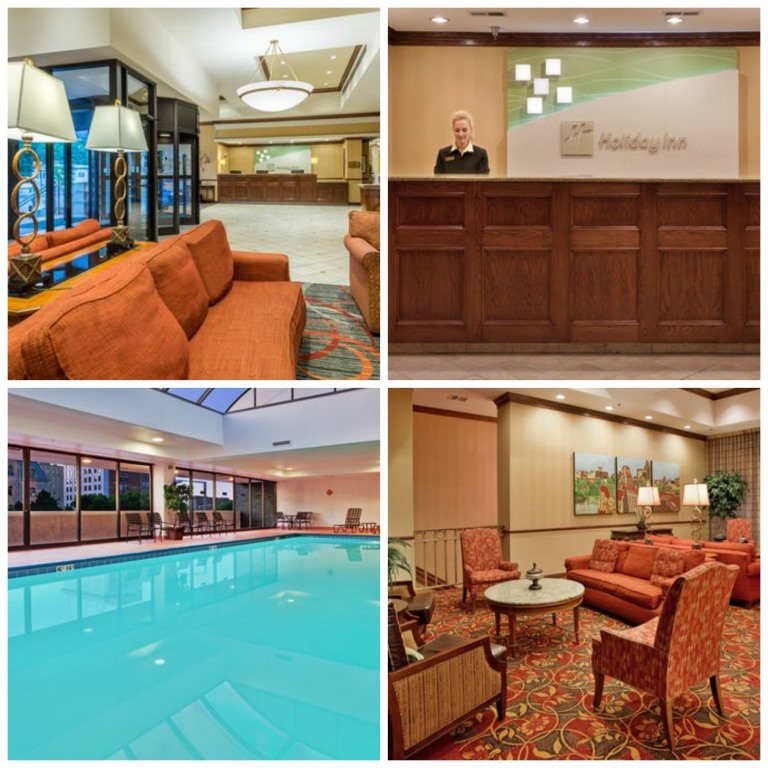 The Holiday Inn Lincoln-Downtown also boasts a great indoor pool you can enjoy all year round. I love this! Coming from Utah where we don’t have a lot of pools and in the winter its way too cold to swim in the few outdoor pools we have. Not that it’s something I would ever really need, but the Holiday Inn also has some really great banquet rooms for events. I was really surprised at how many rooms they had and how large they were. They can really accommodate any type of event. There was a huge conference going on while we were there. As you can see The Holiday Inn Lincoln-Downtown can really accommodate anyone for any type of travel or event. That is what makes it an excellent choice for anyone planning on staying in Lincoln.